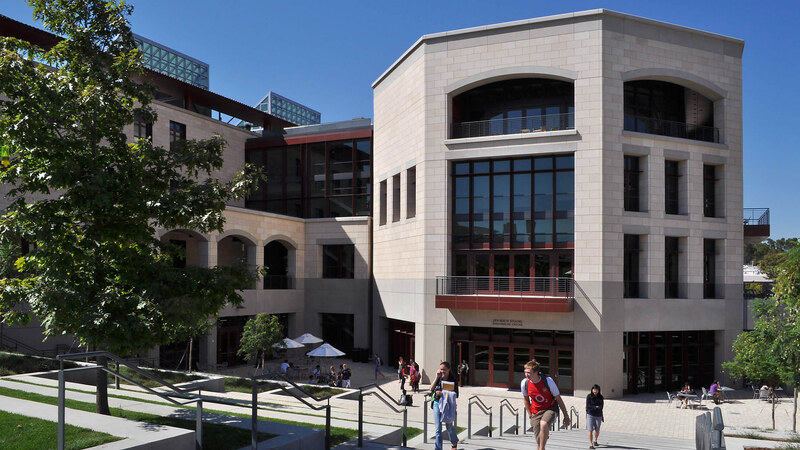 The newly completed Huang Engineering Center is the second of four buildings to be constructed around Stanford’s new 8.5 acre Science and Engineering Quad. 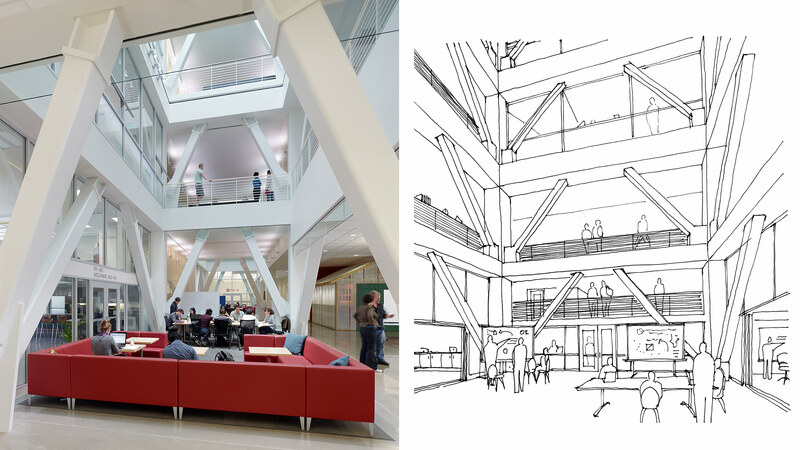 The 126,000 square-foot building is designed to meet or exceed LEED Platinum standards (not certified) and create a new interdisciplinary teaching and research center for all the engineering disciplines on campus. 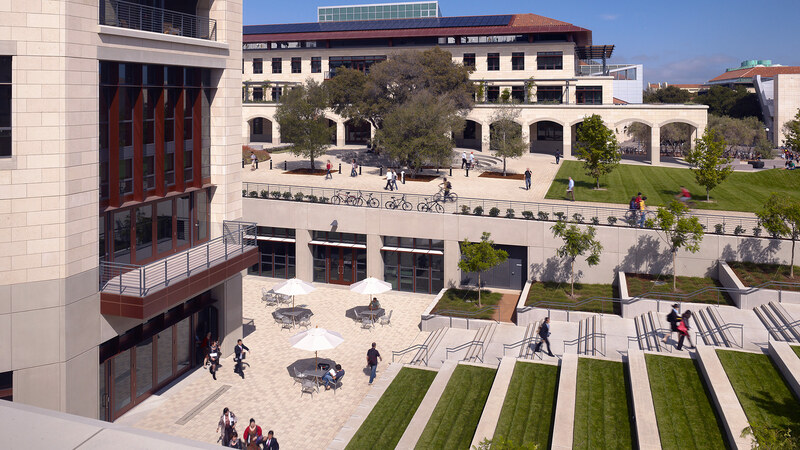 Drawing on Stanford’s strong architectural vernacular, the Huang Engineering Center, with its iconic Pavilion, anchors the University’s new Science and Engineering Quad to create important campus connections to the School of Medicine to the north and the Humanities in the Main Quad to the east. 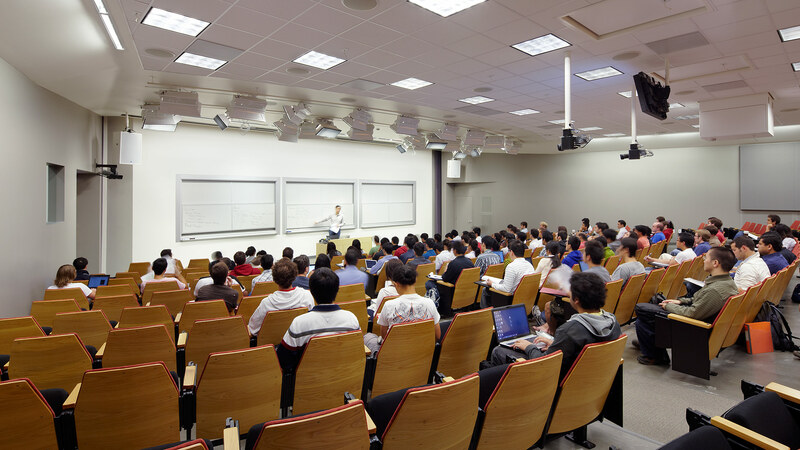 The building houses important regional program components that include the new Frederick Emmons Terman Engineering Library, a 250-seat broadcast ready auditorium equipped for global communication, tiered floor and flexible flat floor classrooms, breakout rooms, group study spaces and a cafe. 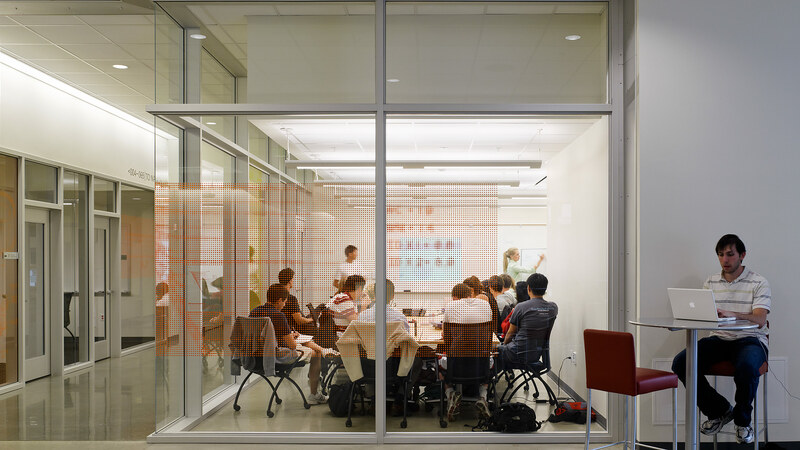 Additional spaces include a board room|event space, dedicated space for collaborative student projects, multiple shops for fabrication and prototyping, and a visualization lab. 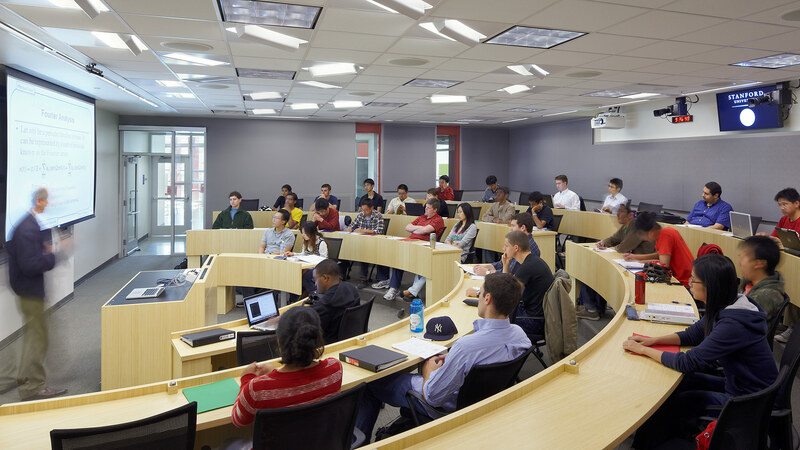 Administrative centers include new offices for the Dean of the School of Engineering and its associated student support functions. 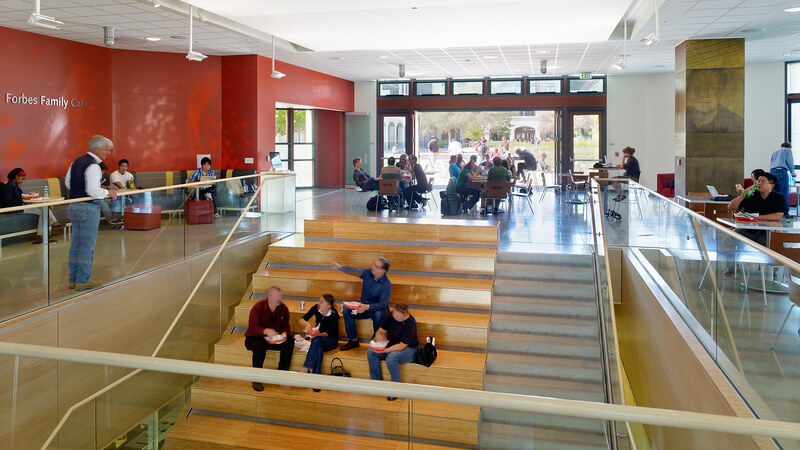 The building also houses several departments and interdisciplinary institutes that work across the campus. 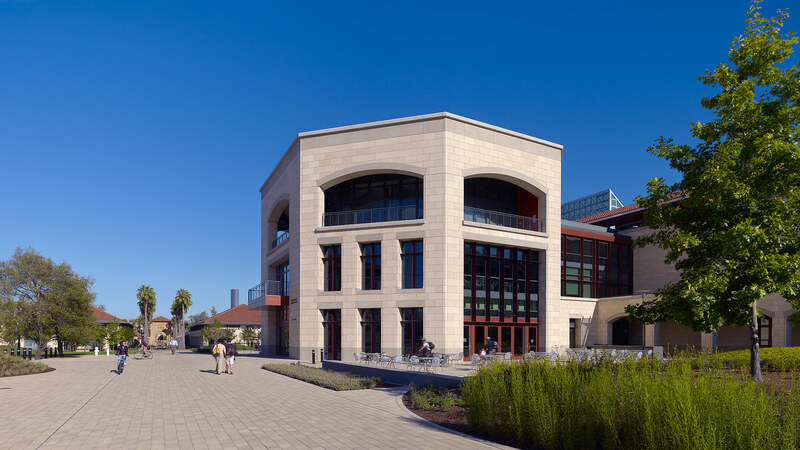 The relocation of the Terman Engineering library to the Huang Center provided Stanford with an opportunity to re-imagine the role of the library. 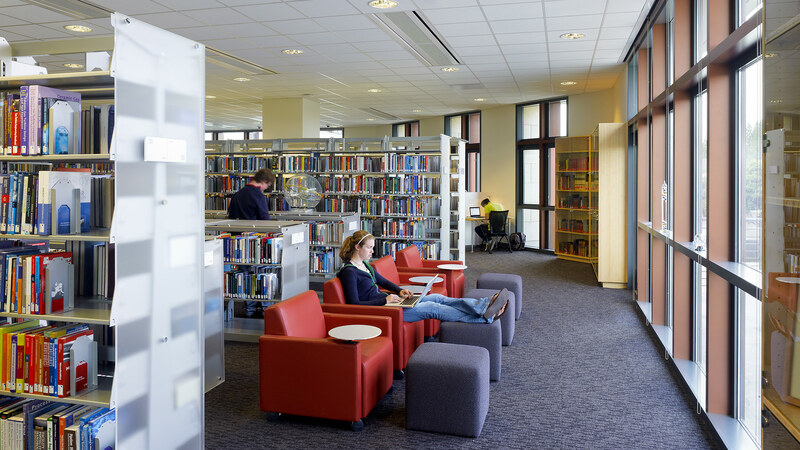 Working closely with the library staff, the on-site stacks were reduced from 80,000 volumes to 10,000 volumes with new emphasis placed on digital media. 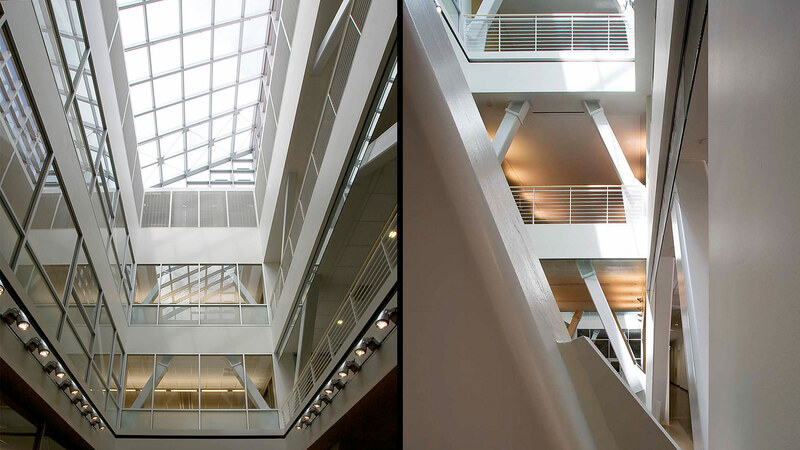 A new, more compact and distributed model for the library was implemented with technology that facilitates remote access to the collections and allows the physical space of the building and its programs to serve as an extended ‘reading room.’ This approach complimented the design intentions of the Huang Center by creating a digital commons for faculty, students and staff that parallels the design of the physical building. The Huang Center is also host to permanent and changing museum quality exhibits that tell the story of the School of Engineering. This includes the many innovative companies and products that have resulted from its creative culture and the current work and innovations that are ongoing. These exhibits form a storytelling ribbon through much of the public space of the building. 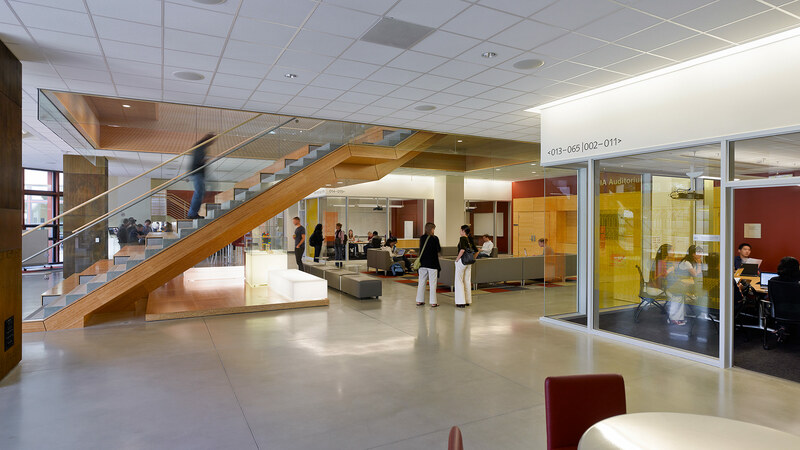 Designed as a 100 year building, the new Huang Engineering Center is among the most sustainable buildings on the Stanford campus making extensive use of daylight harvesting, high efficiency systems and natural ventilation to achieve a LEED Platinum level of performance. 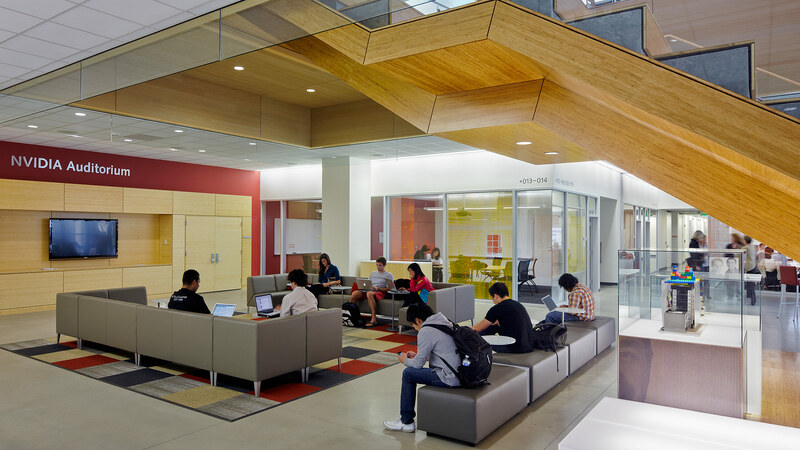 Isaac Campbell of OFFICE 52 programmed and designed the Huang Engineering Center while a Principal at Boora Architects.